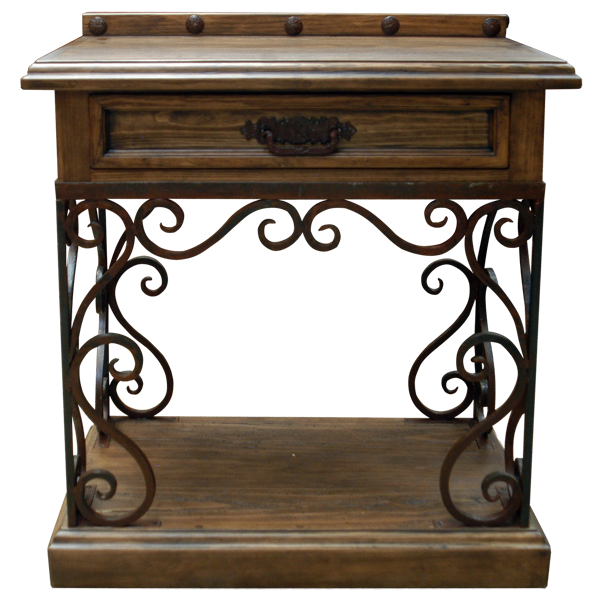 The solid wood table top and base, and the hand forged iron legs of this handcrafted, Spanish colonial style end table all have beautiful, antique finishes. 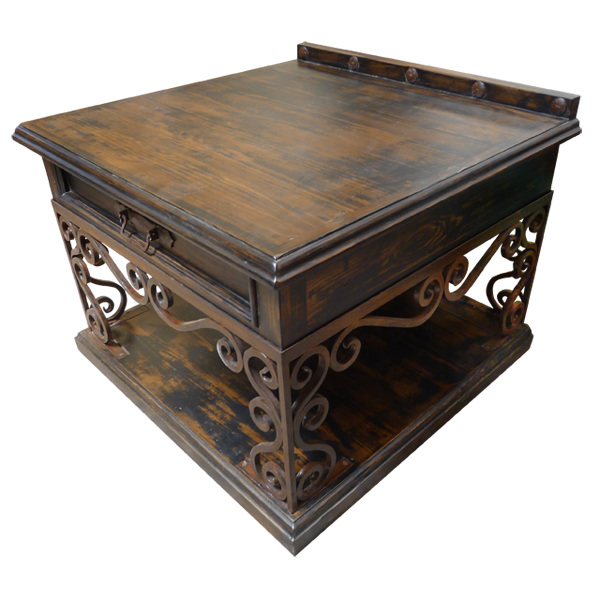 The table top has a decorative, wood crest, embellished with large, hand forged, iron nails. Directly below the top is a practical drawer for storage, adorned with a hand forged, iron handle. The table top is supported by four, beautifully curved, hand forged, iron legs. The legs are connected on every side with matching, curved, hand forged, iron designs. The end table rest on a lovely, wood molding base. It is 100% customizable.